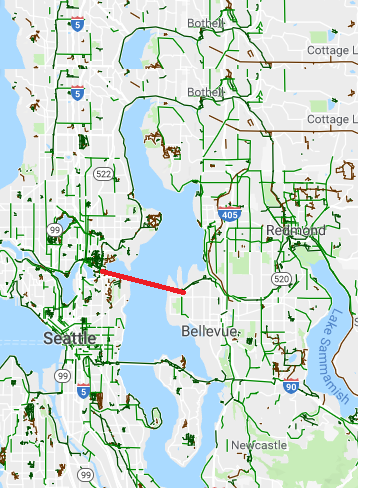 As you can see from this map, the 520 Trail will dramatically change bicycling for the better in the region, allowing a more direct route between the Burke-Gilman Trail in the west with trails on the east side of Lake Washington. 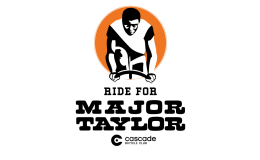 The WA Department of Transportation made the announcement late last week. The trail runs roughly from Evergreen Point Road in Medina to 24th Avenue East. From there, travelers can turn north toward UW, or south toward the Arboretum. Funding exists to extend the trail from Montlake to I-5 on the future Portage Bay Bridge. From there, improved connections can be made to South Lake Union, Eastlake, and downtown. The replacement bridge opened to traffic in 2016, and the eastern section of trail opened later that year. As the western replacement for the bridge into Montlake was finished this summer, work progressed on the trail. The trail is 14 feet wide with 11 pull-outs with benches and informational signs. Mount Rainier and Mount Baker can be seen from the bridge in clear weather as you ride high above the lake.